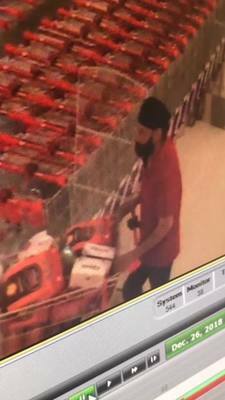 Narre Warren Police are investigating an attempted theft at a retail store in Berwick on 26 December. Police allege that at approximately 12:50pm a man entered the O’Shea Road store and filled a trolley with approximately $360 worth of items. The man has exited the store without making an attempt to pay before being confronted by a staff member. Police have released a CCTV still image of a man who they believe can assist with their investigating. If you recognise the man please contact Crime Stoppers on 1800 333 000 or www.crimestoppersvic.com.au and quote incident number 180440378.